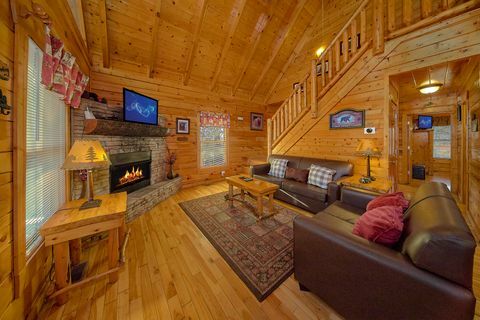 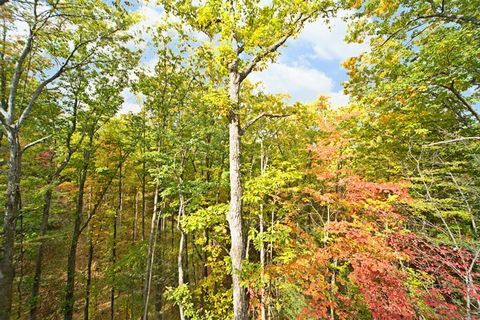 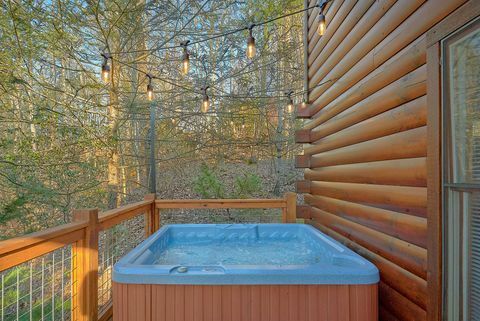 This private 2-bedroom cabin rental in Sevierville with wireless Internet access, hot tub, game room, BBQ grill, fireplace, jacuzzi, pool table, and more provides everything needed for your Great Smoky Mountains vacation getaway! 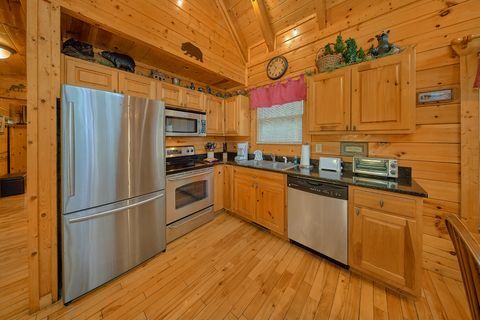 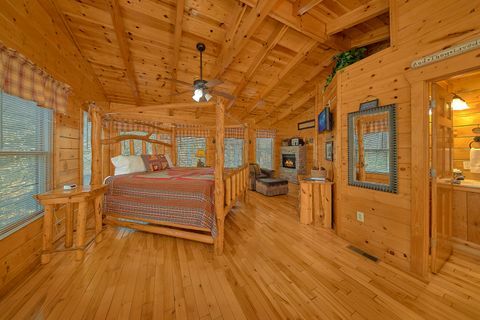 "A Bear Encounter", a custom-designed cabin rental near Pigeon Forge, is located in Sky Harbor just a short trip away from all the action of Pigeon Forge Parkway, Gatlinburg, and the Great Smoky Mountains National Park. 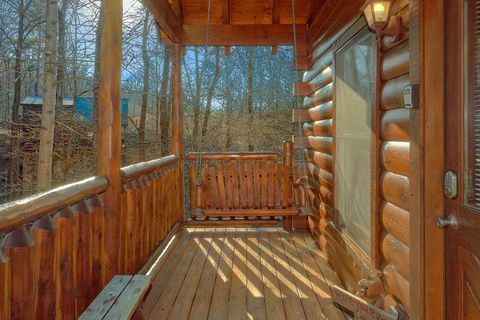 With horseback riding, indoor skydiving, museums, hiking, skiing, and no shortage of other activities, everyone will prize the memories formed on your vacation to this Sevierville cabin rental. 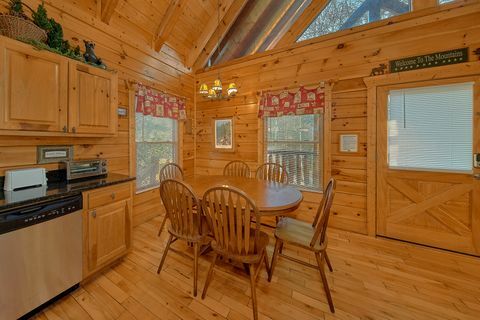 This spacious, private 2-bedroom cabin, however, has much to offer within its own walls. 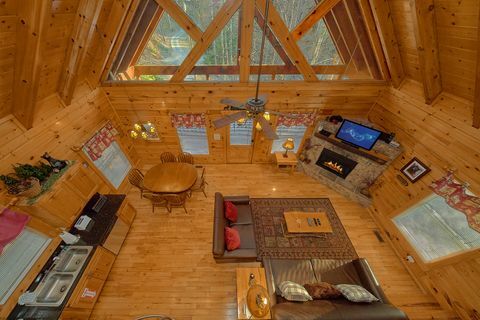 The first level’s open floor plan includes a stone fireplace, cozy seating, a dining area, a fully equipped kitchen, and lots of natural light. 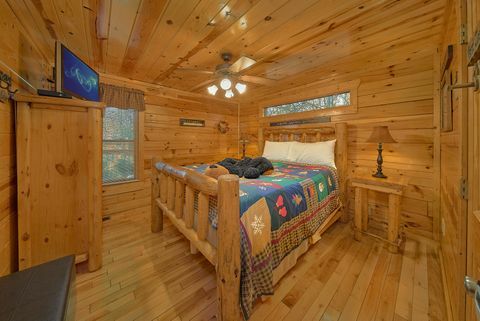 "A Bear Encounter" comes complete with an amazing master bedroom with a spacious four-post, log bed, a corner jacuzzi, and its own sitting area with a fireplace, making chilly mountain nights all the more romantic. 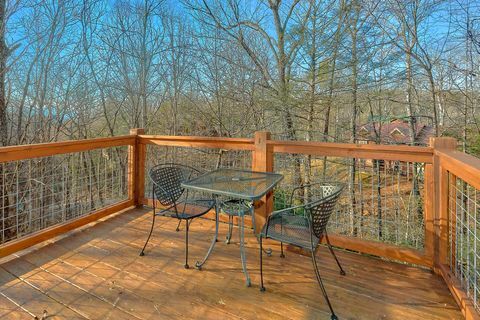 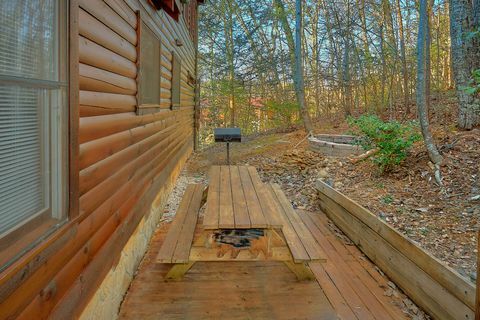 Bask in the warmth of the Tennessee sun on the deck and host a cookout with the BBQ grill and bear-themed picnic table while enjoying the wooded view. 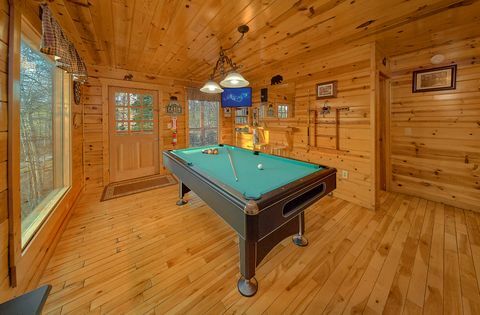 Experience hours of enjoyment in the game room with a PlayStation 2, a pool table, and foosball table. 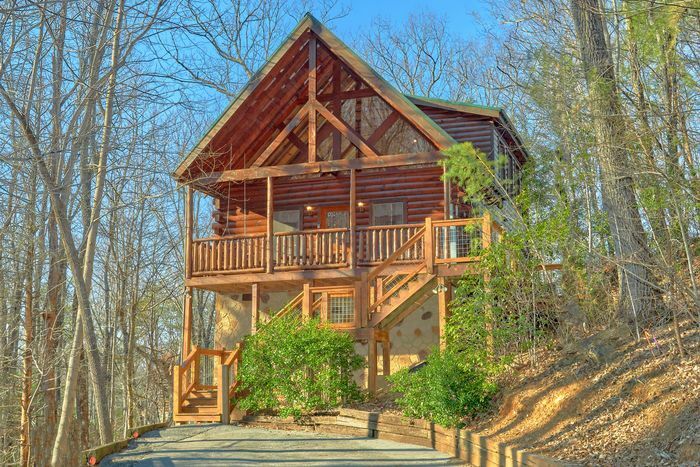 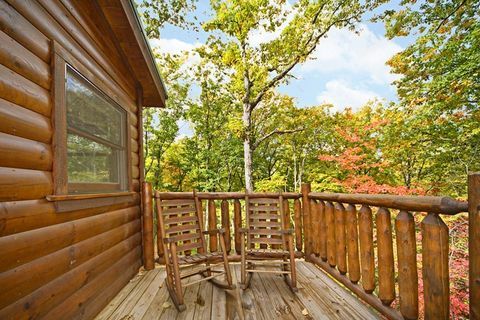 Pick this Sevierville cabin rental near Pigeon Forge for your next trip to the Smoky Mountains! 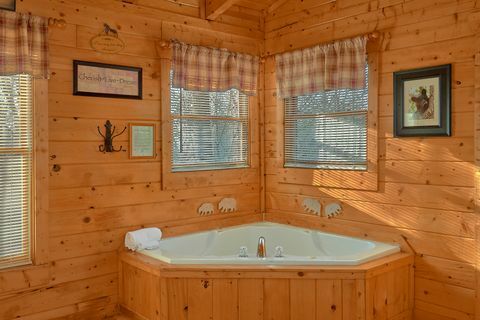 Book online with Cabins USA for special online discounts and an unforgettable cabin vacation!